1 god | This Blog Rules | Why go elsewhere? They say that God sees all, and now all can see inside of his house. 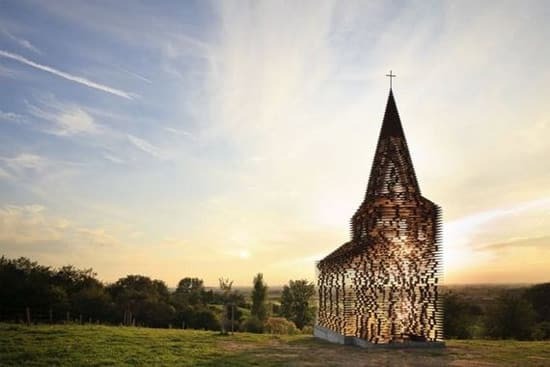 Well, at least inside of a fully see-through church in Belgium. The artists who came up with this interesting idea are young Belgian architects Pieterjan Gijs and Arnout Van Vaerenbergh, collaborating under the name of Gijs Van Vaerenbergh.